Jim George, N3BB is an active contester, DXer, and rag chewer. Jim has many contest awards and was a team member in the 2000 World Radiosport Team Championship, or WRTC, in Slovenia. 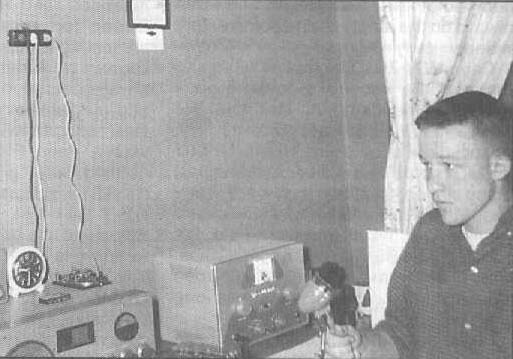 Now retired, Jim divides his time between ham radio, his wife, Diana, grandchildren, and authoring books. His most recent book, Contact Sport, about the 2014 World Radiosport Team Championship, brings the excitement and suspense of this uniquely ham radio experience to the non-amateur radio audience. N3BB is Eric’s QSO Today. Favorite Contest: North American Sprint - perfect for SO2R. Jim’s Blog Post, The Rise and Fall of Motorola. Hello Jim, still hoping that you will have time to stop by my HAM class to give the folks a primer on contesting. We talked on the AA flight two months ago, and I lost the email address you gave me. I tried your author email but got no response to that. Coming on the last session next week maybe, and I would hope you could be enticed to join this class session to pass along some excitement. Excellent, interesting interview. Great insight into Motorola. Also, you can add me to list of 'unbalanced hams'. I am unbalanced. 50 ohms all the way.